The grand south entrance of Fatehpur Sikri's Jama Masjid. On Friday we took a tour of Mathura on the back of a cycle rickshaw. 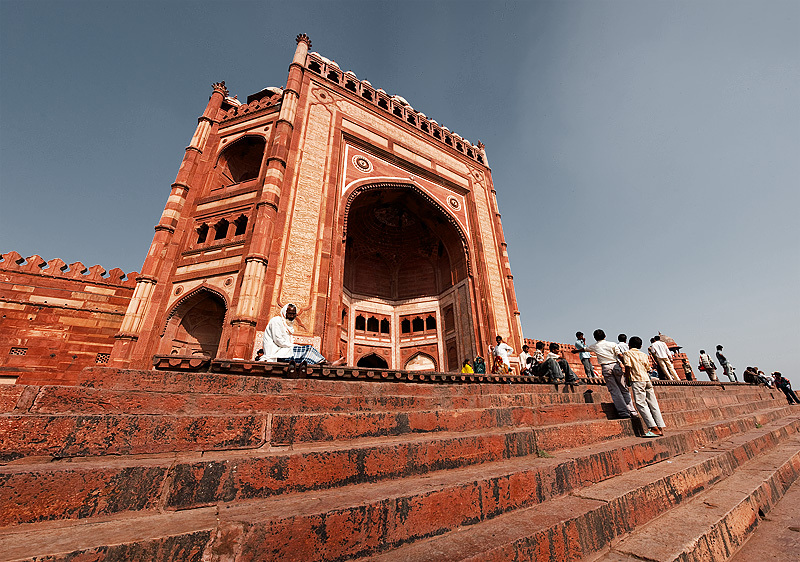 Today we move a few hours south to Fatehpur Sikri, the site of a great Mughal emperor's misplaced capitol. Upon completion, the capitol was quickly abandoned possibly due to an inadequate water supply. Whatever the reason, the main mosque that stands in the city today is one of the most beautiful I've seen in all of India. 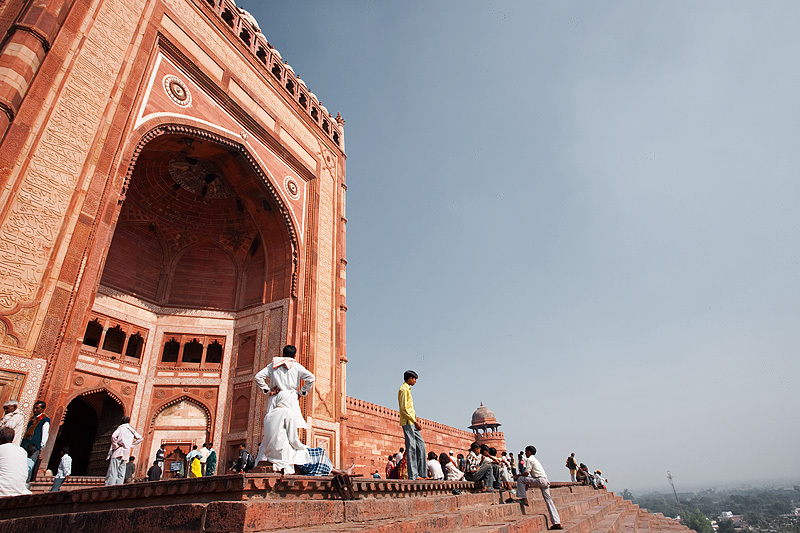 Jama Masjid's south entrance, located atop a large hill, overlooks the city below. Although the capitol was abandoned and later moved to nearby Agra (home of the Taj Mahal), people currently eek out a living, largely or almost exclusively on tourism. Hence, the faux tour guides and souvenir salesmen are quite possibly the most annoyingly persistent I've seen in all of India.